J.K. Rowling’s new 500-page adult fiction novel The Casual Vacancy is due to be released on the 27th September this year. When Barry Fairbrother dies unexpectedly in his early forties, the little town of Pagford is left in shock. Pagford is, seemingly, an English idyll, with a cobbled market square and an ancient abbey, but what lies behind the pretty facade is a town at war. Rich at war with poor, teenagers at war with their parents, wives at war with their husbands, teachers at war with their pupils…Pagford is not what it first seems. And the empty seat left by Barry on the parish council soon becomes the catalyst for the biggest war the town has yet seen. Who will triumph in an election fraught with passion, duplicity and unexpected revelations? 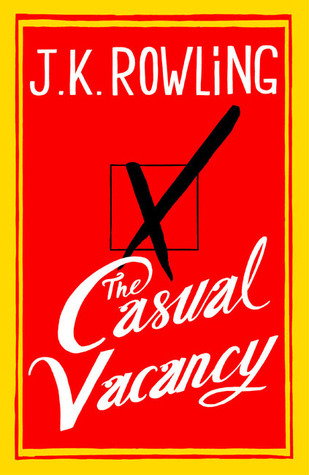 The Bookseller today announced that, despite the fact that J.K. Rowling’s book is yet unpublished and the plot in full yet unknown, a parody of The Casual Vacancy, titled The Vacant Casualty, has already been released as an eBook by Boxtree, available for £3.99. It will be published in hardback on the 13th September this year for £8.99. World rights in The Vacant Casualty by Patty O’Furniture (pseudonym of Bruno Vincent) were acquired direct from the author by non-fiction publishing director Jon Butler, after the idea was prompted in-house. Jumping on the bandwagon a little too early?